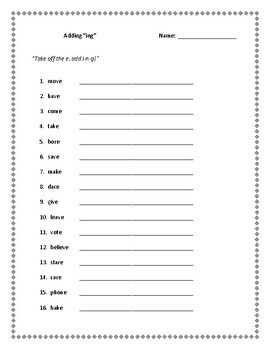 Spelling practice: Their/there/they're plus more! 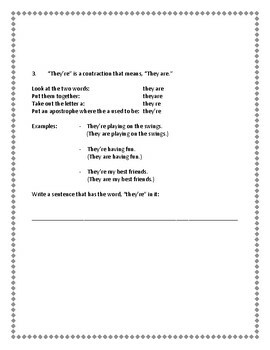 Would you like your students to have a clear reference sheet so that they know which "their/there/they're" to use? 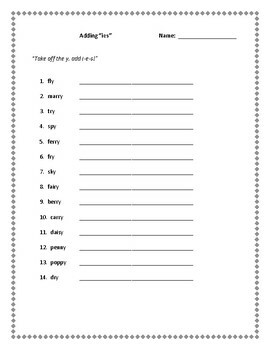 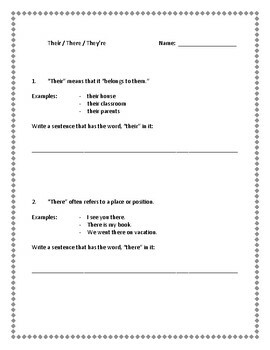 This download includes the rules for using each "their/there/they're," with examples for each, and a blank line at the end of each rule for students to try an example of their own.